Monday | April 30, 2018	Bakerzin’s very own dedicated Celebrity Executive Chef, Chef Alex Yen, goes around for workshops and talks. 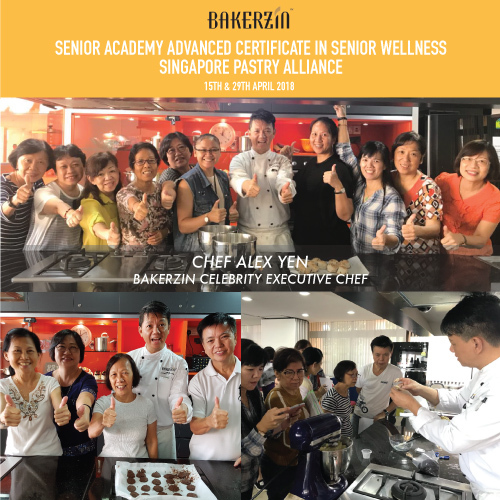 In particular, the main highlight of April, he was seen in Civil Service Club, giving complimentary workshops for just anyone who has a fervent liking or pastime in baking! Chocolate Chip Scones and Cookies were the agenda in the menu, and the smiles on everyone’s faces speak a thousand words. Check back often for more workshops upcoming!